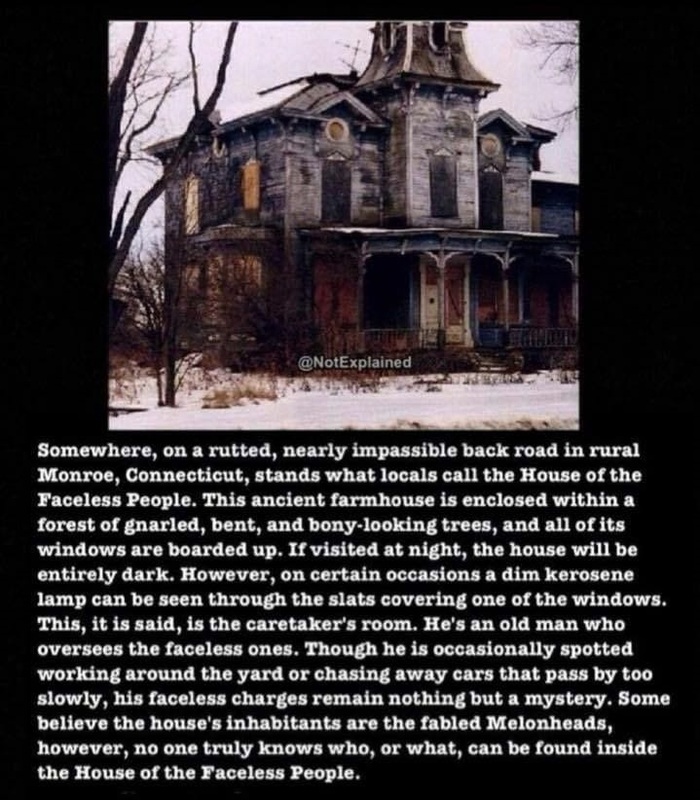 This is The House of Faceless People located in Monroe, Connecticut. There's an old man (caretaker) who lives there. The road to it is impassible, so how is he getting foot, paying bills, or doing anything related to every day life?